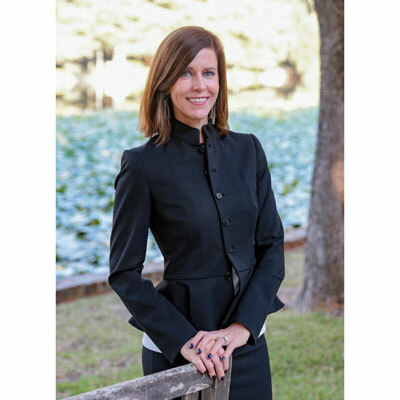 Dee Dee Acquista is a seasoned channel sales executive with more than 20 years of experience that includes outstanding performance and leadership in channel practice and development, strategy execution, marketing, and sales. Regarded as an "execution machine," Dee Dee has successfully leveraged relationships that she has built with key channel partners in every company and role that she has held throughout her career. Equally strong in recruiting and developing strategic partners and top-performing teams, Dee Dee has built an impressive record of exceeding targets for global channel strategy and execution. Dee Dee's entrepreneurial mindset, industry expertise, and keen ability to execute on strategies that align business objectives with channel resources has resulted in unprecedented results. Before joining SentinelOne Dee Dee led Proofpoint's world wide channel organization where she developed and drove the strategy that was instrumental in achieving 200+% channel growth during her tenure at Proofpoint. In my first month at SentinelOne, I am laying the groundwork for a strong channel network. I'm leveraging a strategy with a "quality over quantity" focus. SentinelOne sales are growing rapidly as companies realize the power of next generation endpoint protection and its channel must scale at the same pace in order to serve as the foundation for sales success. We aim to bring on forward-looking partners that have strong security expertise and an outstanding service record that will benefit our mutual customers. Grow the SentinelOne business by leveraging the power of the channel. We aim to achieve this by selecting and working alongside the right set of partners -- we categorize these partners as those who understand that traditional AV is no longer sufficient and are ready to take a strong leadership stance in the fight against cyber threats by offering dramatic new solutions to its customers and partners. In addition, our goal is to build a meaningful go-to-market plan with our trusted partners and work with them to execute on that plan. Nancy is a fellow cyber enthusiast and neighbor who I have had the good fortune of knowing for more than 10 years. Her dedication, energy and focus is unwavering. I learn from her every time I am with her. She has been a tremendous sounding board for me, and it is an absolute pleasure to call her a friend and confidant. I would start by telling her she made a great choice. It's fun to be involved in the technology space, now more than ever. The problems that technology manufacturers are solving for customers is so important, particularly in the security field as threats continue to evolve and impact us on a regular basis. I would remind her that the landscape is constantly changing so it is important to be open and enjoy the evolution. Trust your gut, be true to yourself and, above all - know that working smart and being a good person will take you places. Katniss Everdeen. I loved the Hunger Game movies. Katniss's drive and focus was very inspiring. Istanbul. My in-laws have been many times, I've been hearing their stories and looking at their photos for years. There is so much history, gorgeous architecture, great art, yummy food. I'm ready!